Now here’s a pedal for all you tweakers! 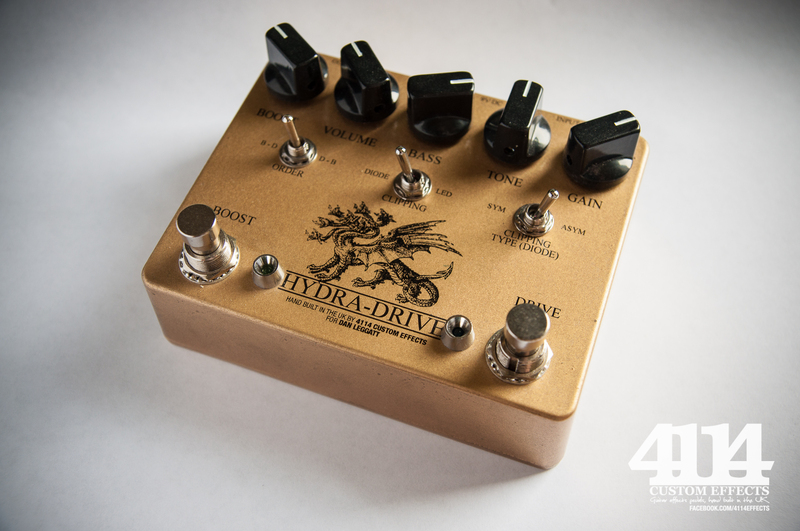 It’s the Hydradrive – a twin overdrive/boost pedal with lots of options. Built for a customer who works on cruise ships for months at a time, so he needed the most configurable drive possible! On the drive side we have an Ibanez Tubescreamer, built to original TS808 specs. There’s an added control for bass cut/boost. Then there are switching options to change the clipping diodes between LED – for a more crunchy/open sound, and diode – for more saturation. Additionally there’s a switch to change the diodes from symmetrical and asymmetrical clipping! On the boost side we have a Zvex SHO circuit with it’s own gain control. Included is a great little switch to change the order of the effects – boost into overdrive for more distortion, or overdrive into boost for more volume, great for solos! I love this pedal so much I’ll probably build myself one, the only problem will be deciding which setting to keep it on! 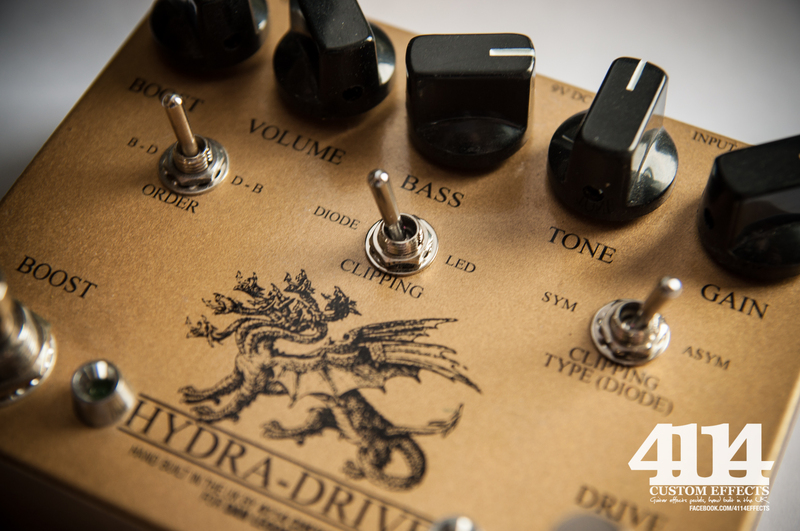 Check out http://www.facebook.com/4114effects for more great pedals!